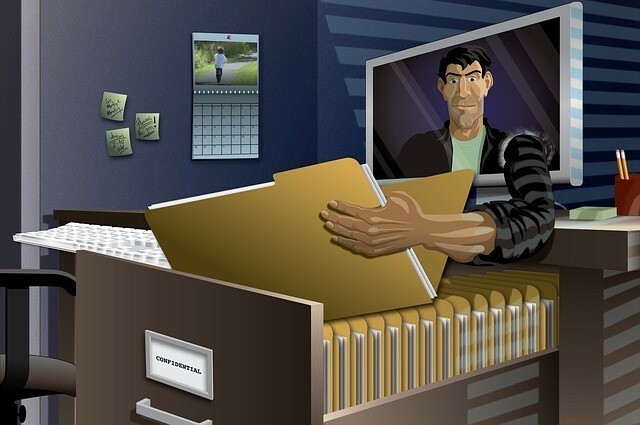 >> ID Theft- Can You Spot Identity Thieves? ID Theft- Can You Spot Identity Thieves? Identifying an identity thief can be difficult. Most ID thieves are average men and women. It can be your roommate, neighbor, family member, friends, co-worker, employer or employee. The number one way ID theft occurs is through family and friends, people you live and associate with. During the next couple of weeks, in a four part lesson on identity theft, you will learn the fundamentals of identity theft, specifically (1) what ID theft consists of, (2) the common ways ID thieves steal your personal information, (3) ways to reduce your risk, and (4) what to do if you are a victim of ID theft. In this first lesson, we will discuss what ID theft is, types of data ID thieves steal and the effects of ID theft. ID theft is acquiring and using someone else personal data unlawfully. A person who commits ID theft are commonly called ID thieves. Identity theft is the fastest growing crime in the United States. Over 10 million people become victims of ID theft each year. Why Do ID Thieves Steal Your Personal Data? ID thieves steal your personal data to gain economic benefits. ID thieves will also commit ID theft due to financial hardship, retaliation, greed or personal vendetta. For example, former employees who have been fired have been known to retaliate against their former employer by stealing company trademark secrets and sell them to competitors. What Can ID Thieves Do With Your Personal Data? ID thieves can enjoy all these benefits under your identity. What Are the Effects of ID Theft? ID theft is a serious matter and you need to be vigilant to minimize your exposure to this growing crime. In our next lesson, you will learn the different ways ID thieves gain access to your personal data.